©Jason Beverley - with thanks! Norwich Bus Page: Today I left the comfort of my central heated home to brave the wind and rain in Norwich City Centre. Public Transport Experience: But, in a programme costing millions to make and being sold round the world for even more millions, you would have thought that the producers could get their continuity right! PTOTPA: With an afternoon spare earlier this week I decided to pop into Plymouth to sample some of the new offerings within the city, taking advantage of the new 'Skipper' ticket. Public Transport Experience: Despite this picking of nits (or, morelike, picking by a nit!) the book is excellent value and any potential young railway enthusiast (or elderly ditto in need of further education) should have a copy! Public Transport Experience: So the variety of road and rail vehicles is well covered. But it is the peripherals that might challenge even an adult enthusiast, let alone a trainee gricer. Sorry everyone for the delay in posting your comments over the last few days - all cleared now! All the new buses should be on the road bar 516 which frustratingly has an electrical problem. Just seen 516 heading into town on a 21A. anon 8/1 19:47. even new things break down, from buses to washing machines. its just unfortunate that it's happened but rest assured pcb engineering are getting it sorted. a bus sat in the depot is not earning money. Only if it's journeys are cancelled and not covered by another bus. @ martyn pcb engineering prob did call dennis to sort it. does it really matter? A least First seem to have a plan even if they aren't telling anyone. 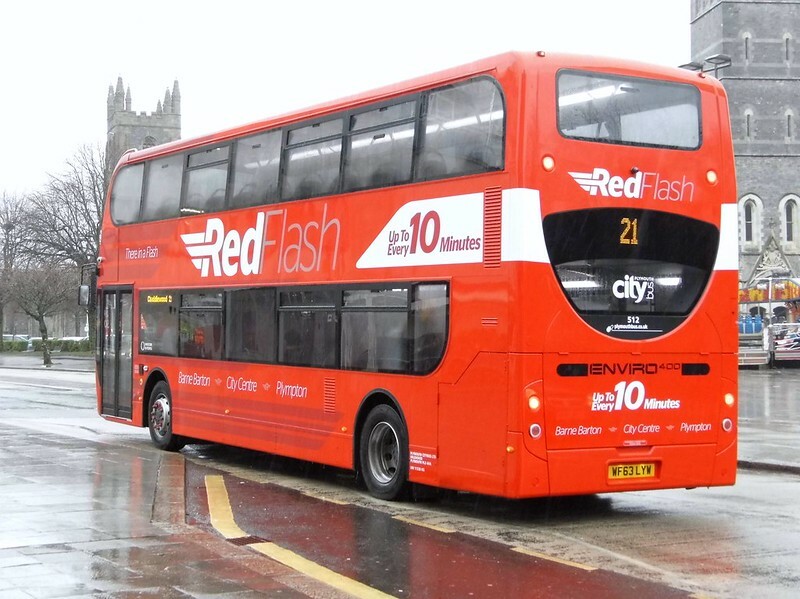 Wonder what GoAhead's plans are for Citybus - guess they would have to know First's plans first. Oh dear - could have had the city to themselves if they hadn't walked away from their deal to take over Torpoint and Tavistock depots while first closed Plymouth depot. Sill, what a good lesson for Go Ahead. Perhaps you aren't so invincible after all!